We are a small family business, totalling over forty years experience, with M.G. cars and we can cater for all the needs of both owners and enthusiasts. Many of our customers refer to our stores as an Aladdin's Cave as we have managed, over the years, to build up a substantial assortment of new and pre-owned spares for MGBs and Midgets. We do anything from a bulb to a complete restoration (with a photographic record) to customer specification and budget. 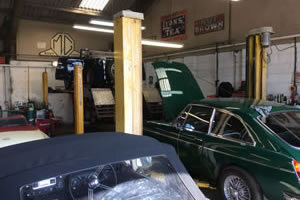 All stock has been tried and tested by ourselves on our own cars as well as in our workshop. Our aim is to give the best service possible. We are M.G.Owners Club Five Star, Five Spanner Recommended and M.G. Car Club Trade members. We are always open for coffee and a chat! Thank you very much from us all to everyone who voted for us in the MGOC Questionnaire. We are again 5 Star / 5 Spanner recommended. This is greatly appreciated. MGB Project - Available this Summer - Click for More details! 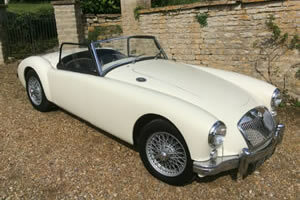 We always have a hand picked selection of MGs, and other classic cars, that we have for sale. 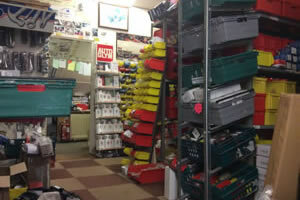 We carry a large range of MG parts and spares, which are available over the counter, or mail order.